Up to 10 weeks to pay, from $1.99 per week. This translucent powder sets, mattifies, blurs, and smoothes with an undetectable finish. 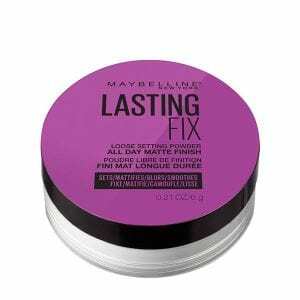 Maybelline's setting + perfecting loose powder creates a soft focus effect as it sets makeup and mattifies shine, blurs, and smoothes. This translucent shade looks natural on all skin types and leaves a smooth, flawless finish. Find everything from concealer to blush with Maybelline\'s FaceStudio collection.